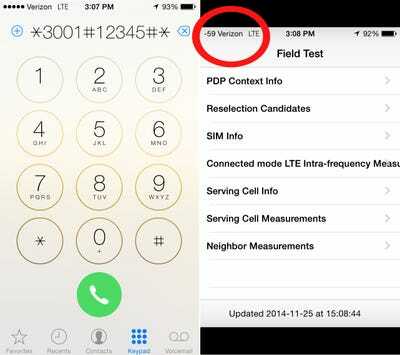 Luckily, there’s a trick to reveal your iPhone’s true signal strength, and it takes less than a minute to enable. This opens up Field Test Mode, which is mostly filled with menus of cell signal jargon that you don’t need to worry about. 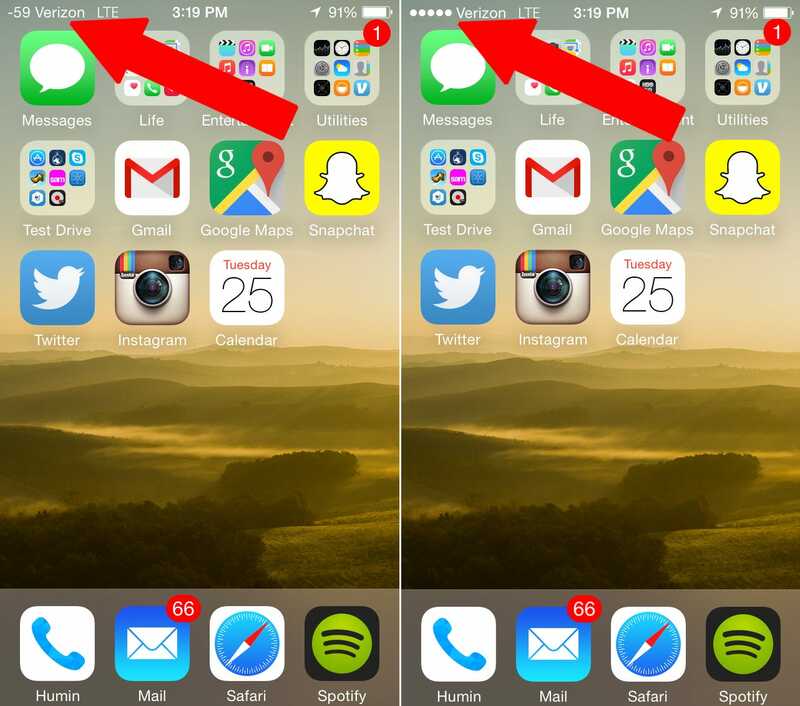 What you’re interested in is the tiny number in the upper left-hand corner of your iPhone, which should have replaced those cell signal dots. Here, for example, my iPhone is showing my cell signal to be -59. While that number can vary anywhere from -40 to -130, it will always be negative, and the closer that number is to zero, the better your cell signal, according to OSX Daily. The best signal you can get would be -40, and no signal at all would be -130. To exit Field Test Mode, you can simply tap the home button and you’ll be brought back to your iPhone’s home screen, no harm done. Now you can always repeat this process to enter Field Test Mode and see your true cellular signal, but if you’d like the ability to always check that number without going through that hassle, you can set things up so your iPhone will display both numbers if you just tap the signal dots in the future. You’ll be brought to the Field Test App, but instead of using the home button to exit, hold down your iPhone’s power/sleep button until it shows the “Slide to power off” screen and then hold the down your iPhone’s home button, which will force quit Field Test App. 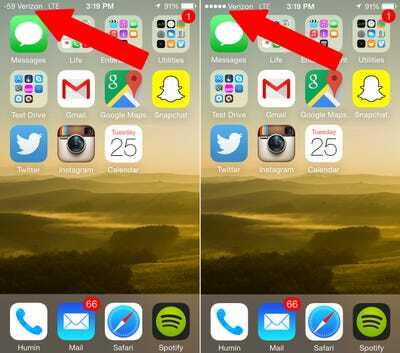 You’ll be back to your iPhone’s homescreen, but this time you should notice that your signal strength number has now replaced your signal strength dots. If you tap that number, you can switch between the two as you see fit. To undo any changes you made, simply repeat the steps to get into Field Test Mode and tap the Home button to exit the app and everything will revert back to normal.